We Buy Houses In Tucson Directly From Homeowners No Matter The Reason They Want To Sell Or The Condition Of The Property. We have the funds ready, the team ready, and the desire to buy more houses around Tucson. Are You Ready To Sell Your House This Week? 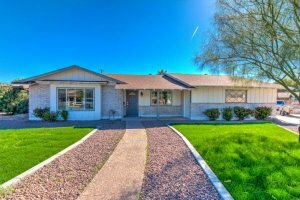 Want To Sell My House Fast In Tucson, AZ? We’ve removed the headaches that usually come with selling real estate. We take care of the house selling details. Yes, we buy houses in Tucson for a fair price. We understand that you may have run into some tough struggles and need to sell a house fast. We try our best to give people a fair offer for their property.